See more objects with the color darkslateblue sienna peru darkslateblue saddlebrown or see all the colors for this object. This is a Spoon. It was made by Pavel Ovchinikov and retailed by Theodore B. Starr. It is dated ca. 1890 and we acquired it in 1944. 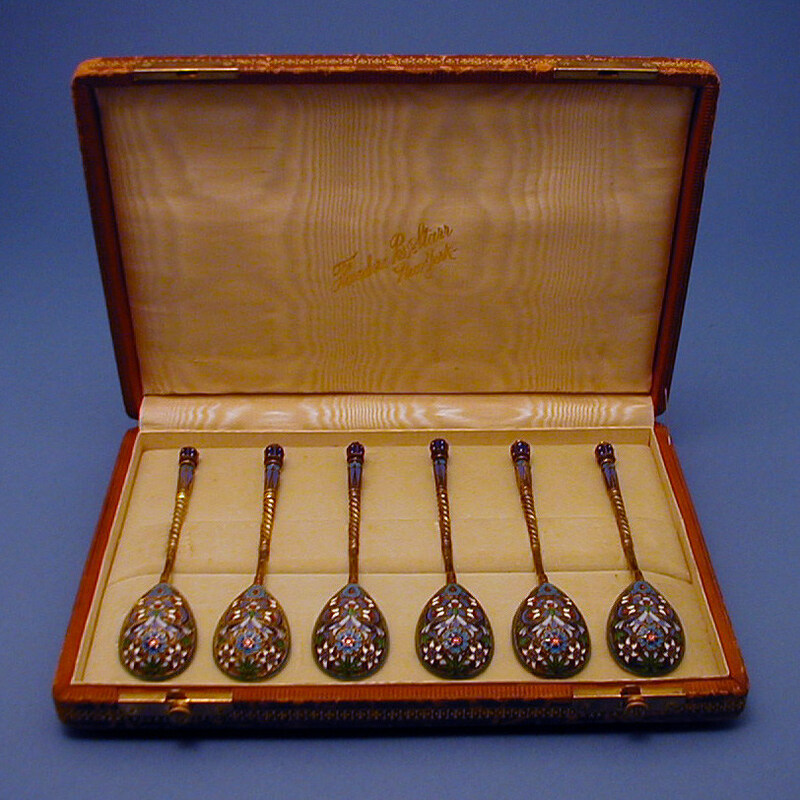 Its medium is enamel (cloisonne), silver-gilt. It is a part of the Product Design and Decorative Arts department. (a-f): On each handle: stamped "84": silver fineness, St. George and the Dragon (for Moscow), "AP"(cyrillic for "AR" for assay master), and "P. Ovchinikov" in cyrillic with imperial eagle mark (purveyor to the czar).